Handheld Press has concluded negotiations on four forthcoming titles for 2018 and 2019. We’ve already burbled our excitement on Twitter about acquiring the rights to republish Sylvia Townsend Warner’s last short story collection Kingdoms of Elfin. This modern collection of fantasy short stories about the European kingdoms of faerie and their politics and passions will be Handheld Classic 5. It’ll come out on Hallowe’en 2018: a very suitable date for a supernatural classic. We concluded our first rights negotiations last week — with expert advice from rights consultant Melanie Leggatt — for the first Handheld Translation. Handheld will be publishing Toby Bainton’s English translation of Ønskebarnet by the Danish novelist Eddie Thomas Petersen (2009). It’s a taut and beautifully unfolding thriller, a murder mystery set in the artists’ town of Skagen on the northern tip of Denmark. This will come out in autumn 2018, with the English title of After the Death of Ellen Keldberg. Zelda Fitzgerald’s Save Me the Waltz will be Handheld Classic 6, out in January 2019, with an introduction by Zelda’s biographer Sally Cline. 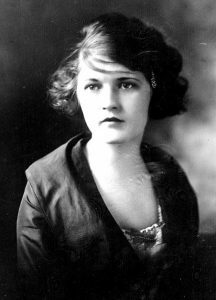 This was Zelda’s only novel, and has been routinely snooted at by the F Scott Fitzgerald scholarly community because she only took three months to write it, compared to the six-year struggle Scott had to use the same material —their lives in Paris and the South of France in the 1920s and 1920s, and Zelda’s fierce struggle to become a ballet dancer —in his Tender is the Night. Some people think hers is the better novel: it’s certainly a powerful read. Much further ahead into 2019, the second Handheld Translation will come from award-winning translator David McKay. The Dutch Literary Foundation have generously made it possible for Handheld Press to commission his translation of J J Slauerhoff’s 1930s account of travels in the South China Seas, Het leven op aarde. We’re still thinking about the English title for this one, and we’re very enthusiastic about the project. David will be awarded the Vondel Prize in 2018 for his superb translation of Stefan Hertmans’ Oorlog en Turpentijn / War and Turpentine in 2016.